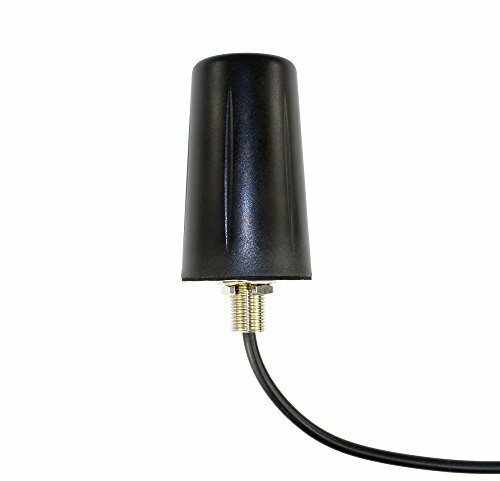 * For optimum performance this antenna should be mounted on a flat, horizontal metal surface at least 8 inches in diameter. Note: LTE systems should use 2 identical antennas for best results. Compatible with all North American & Worldwide 2G, 3G, 4G, LTE Cellular Networks such as AT&T, Sprint, T-Mobile, Verizon, US Cellular, Bell Canada, Rogers, Telus, Digicel, Moviestar, Telcel, and more. Compatible with most 3G/4G/LTE modems and routers from Airlink, CalAmp, Cisco, Cradlepoint, Digi, Multi-Tech, Netcomm, Novatel, Pantech, Pepwave, Proxicast, Sierra Wireless, Sixnet/Red Lion, and many more. For industrial, commercial and Internet Of Things (IOT) applications such as: Hotspots, Kiosks, Vending, Point-of-Sale (POS), Machine-to-Machine (M2M), Video Surveillance (Cameras, DVRs, NVRs, etc...), Mobile & Vehicles, Point-of-Sale (POS), SCADA, Telemetry, PLCs, RTUs, Digital Signage, and more.